This hot hatch makes a big sound that fits well with its gigantic wing. Toyota debuted the Yaris WRC’s wild looks a week ago, but the company didn’t accompany the premiere with a preview of the competition-spec hot hatch’s sound. Thankfully, people have been filming the race car testing in a variety of environments. 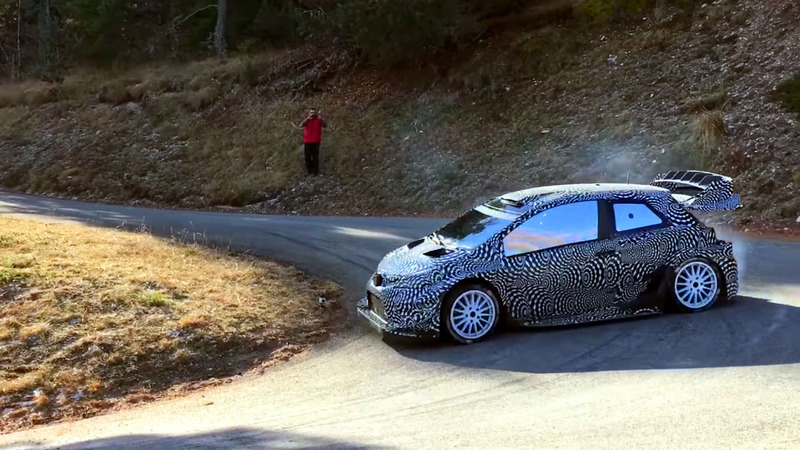 Check out these clips for an early look at the Yaris WRC on the move and a chance to get an earful of its amazing exhaust note. In two of these clips, the Yaris WRC weaves through mountain roads. You might not expect a turbocharged 1.6-liter four-cylinder engine to sound very impressive, but the combination of a fire-spitting exhaust and the popping anti-lag system give this pint-sized beast a a hard-rocking song. Check out the clip of the hot hatch in the snow for a chance to hear the noise while the car is sliding. 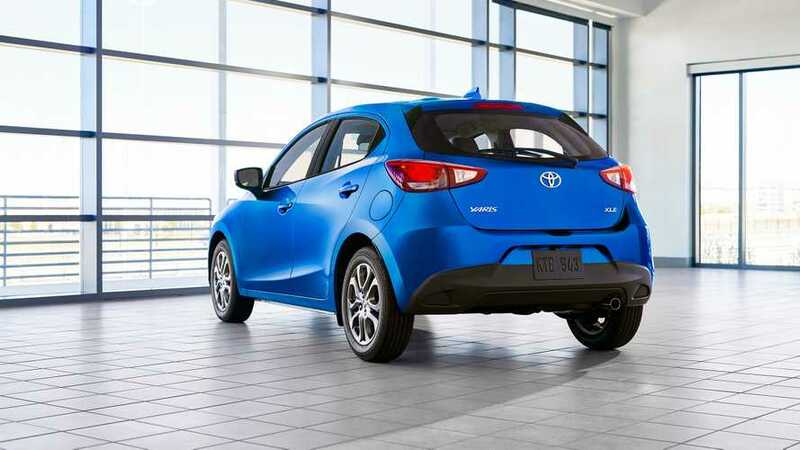 According to Toyota, the Yaris’ engine produces over 375 horsepower (280 kilowatts) and more than 314 pound-feet of torque (425 Newton-meters). A six-speed sequential gearbox routes power through an all-wheel-drive system that includes a mechanical differential at each axle and an active center differential. The Yaris WRC is one of the most aggressive looking machines entering the 2017 WRC season. A double-decker rear wing takes up much of the model’s rear, and a huge diffuser sits below it. Toyota’s driver lineup includes Jari-Matti Latvala and Juho Hänninen. Former WRC Champion Tommi Mäkinen is the team principal. Microsoft, the crew’s major sponsor, is helping to develop a data analysis platform and team information-sharing system. The Yaris WRC makes its competition debut at the Rally Monte Carlo that starts January 19. Toyota is also developing a road-going Yaris hot hatch that takes inspiration from the rally car. The company isn’t releasing many details at the moment. It reportedly follows the WRC model by using a turbocharged 1.6-liter four-cylinder, but expect an output around 200 horsepower.